A certain race every Memorial Day weekend tends to dominate any list of Indianapolis originals, but the Circle City has given the world plenty more. Indy can claim everything from corporations like Eli Lilly and Company, to writers Dan Wakefield and Kurt Vonnegut, to reality show contestant (and former gubernatorial candidate) Rupert Boneham. Here are more than a dozen other people, places, and products that Indianapolis has given to the country. You’re welcome, America. The author of Slaughterhouse-Five, Cat's Cradle, and Breakfast of Champions never lost his connection to his hometown. In fact, in a 1986 high school commencement address, Kurt Vonnegut credited Indianapolis with much of his appeal. "All my jokes are Indianapolis. All my attitudes are Indianapolis. My adenoids are Indianapolis. If I ever severed myself from Indianapolis, I would be out of business. What people like about me is Indianapolis." 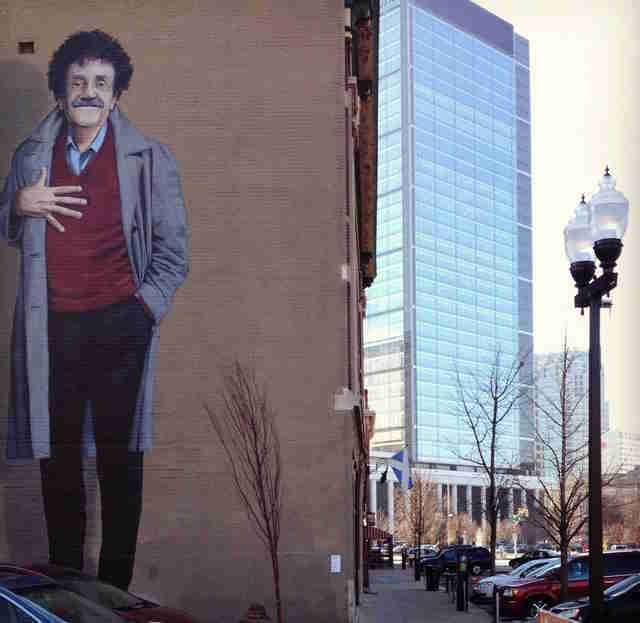 The feeling was obviously mutual, because Indianapolis likes Vonnegut so much it commissioned a 38ft-tall mural of the author by artist Pamela Bliss as part of 2012's Super Bowl XLVI public art project. Voted one of the 50 greatest players in NBA history, the Big O grew up in Indianapolis and attended the segregated Crispus Attucks High School. The school won the state basketball championship in 1955, making it the first all-black school in the country to win a state title. He co-captained the 1960 Olympic team that won a gold medal in basketball and went on to an outstanding career with the Cincinnati Royals and the Milwaukee Bucks. 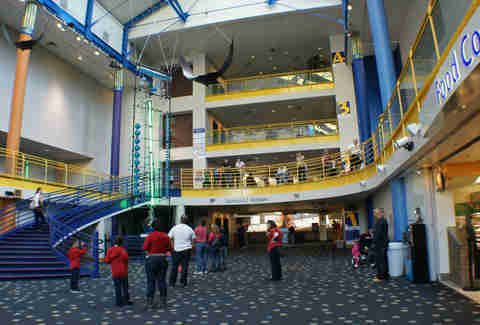 More than a million visitors each year come to explore the five floors of the Indianapolis Children's Museum, the largest children's museum in the world. Exhibits include a dinosaur habitat, a working carousel, a steam locomotive, a planetarium, and loads of hands-on activities for all ages -- which means that Mom and Dad can enjoy the visit too. In fact, grownups like it so much that there are even adult-only events. Gilbert Van Camp launched a canning business in Indianapolis in 1861, so by the time the Union Army needed chow for the troops during the Civil War, Van Camp's was ready with pork & beans. However, it wasn't until 1894 that Gilbert's son Frank created the famous recipe made with tomato sauce. The Warren Central High School and Indiana University grad started her broadcast career with WISH-TV in Indianapolis. She was then hired by The Today Show, where she remained until 1989. 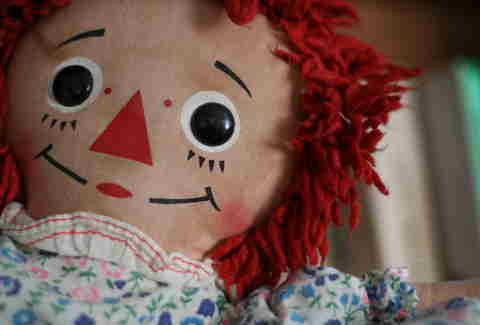 Afterwards, she moved on to Dateline NBC and NBC Nightly News. These days you can catch her on CBS Sunday Morning. You can also see her name on the Jane Pauley Community Health Center in Indianapolis. The Grammy-winning singer/songwriter/producer grew up in Indianapolis and attended North Central High School, but you'll probably see his name most often on Interstate 65. A 17-mile stretch is named for the award-winning R&B artist, who has written and produced for such stars as Whitney Houston, Michael Jackson, Madonna, Aretha Franklin, and many others. Whether you saw him unleash the slime on Nickelodeon's Double Dare back in the '80s, or you're familiar with him on Food Network's Unwrapped, you probably recognize this guy from somewhere. Summers, who also produces Restaurant: Impossible, is occasionally back in Indianapolis and always makes sure to stop in for a burger at Steak 'n Shake. When brothers Fred and August Duesenberg moved to Indianapolis in 1919, they'd already tasted success in the famed 500-Mile Race. The engineers were on the cusp of a breakthrough, one that would ensure their place in history. 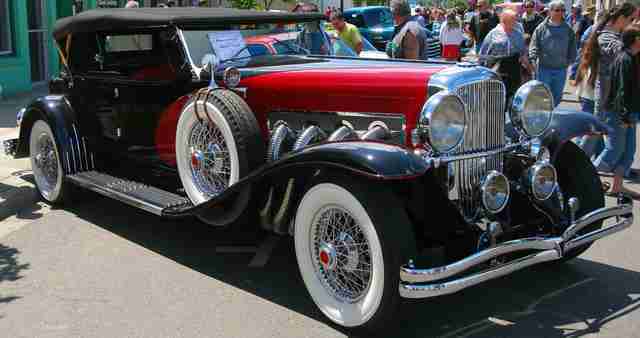 The duo developed a powerful straight-eight engine, bolted it onto a revolutionary chassis, then sold them to wealthy customers around the world, who had custom coach makers finish the gleaming automobiles, which many consider among the finest ever produced. 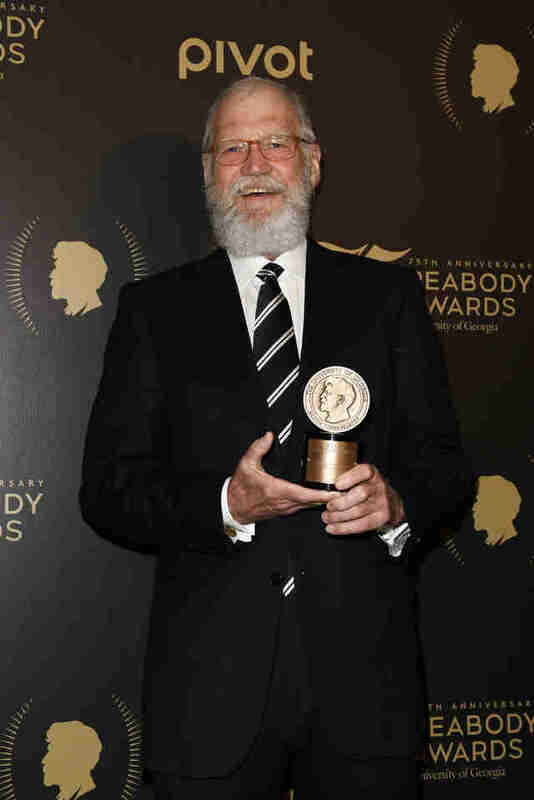 He's retired from late-night TV and now, apparently, sports a bushy beard, but you can still spot David Letterman at the Indianapolis Motor Speedway in May, where the former talk show host co-owns an IndyCar team. The one-time local TV weatherman maintains close ties with his college alma mater (Ball State University), where his name graces the media and communications building. Hell, there's even a scholarship in his name that goes to telecommunications students with average grades and above-average creativity. 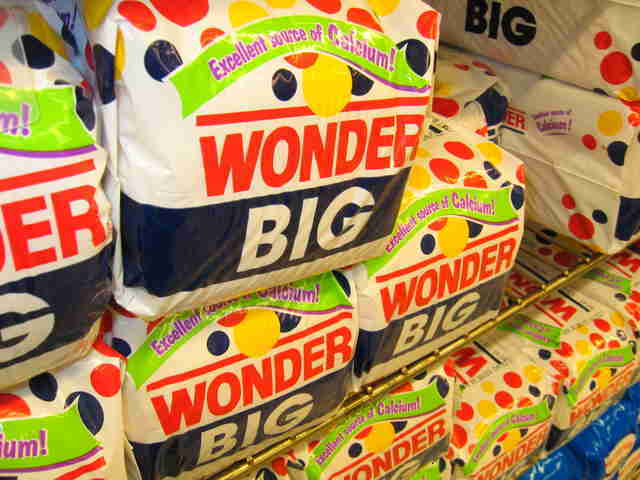 The quintessential sandwich bread first hit store shelves in 1921, after an ad campaign promised shoppers "a wonder." 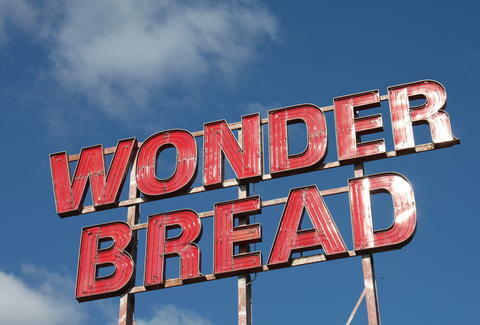 According to corporate lore, the merchandising veep at Indy's Taggart Baking Company came up with the name and logo idea after being "filled with wonder" at the sight of a sky full of multicolored balloons at an international balloon race at the Indianapolis Motor Speedway. This product was a hit with local tavern owners when an Indy chemist came up with the formula in 1882. Not only does it keep brass rails shiny, but the non-bleach cleaners work on household surfaces as well -- and it's still made in Indianapolis. Road cyclists are a competitive and loyal bunch, so it takes a superior product to break into the business. That's what motorsports engineer and bicycling enthusiast Leigh Sargent had when he developed his first carbon fiber wheels in 1988 with his new company, Zipp Speed Weaponry, just down the street from the Indianapolis Motor Speedway. By 2000, the company was supplying wheels to top-level professional cycling teams, and its products were on the bikes of multiple Tour de France stage winners. Jolene Ketzenberger is a freelance writer who covers local food at EatDrinkIndy.com and who prefers David Letterman with a beard. Follow her @JKetzenberger.